There are a lot of cross-platform messenger apps floating around out there but if you've been a user of PingChat! then you're in for some good news. 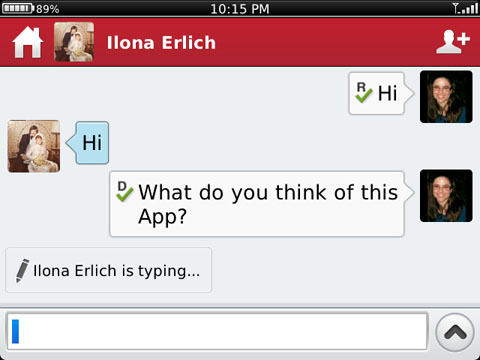 The folks over at Enflick let us know they've released a brand new version of PingChat! that paves the way for them to be more than just a chat platform and more like a close-knit social community. The update is so huge in fact that they've rebranded the app as Touch. PingChat! or Touch, has been redesigned with a friendlier, more personal interface. It's new focus is to help you maintain important relationships and share photos and messages with friends and family rather than acquaintances who merely follow you on social sites. It's basically a closed-community of people you'd like to send or share photos or "experiences" with in addition to its chat messaging features. Touch can be linked to your Facebook account if you want to make these experiences public. Current PingChat! members will be able to update their profile and sign in under their user ID/email or create a new one. Your contacts will instantly be ported over. Right off the bat I noticed they improved the speed of real-time conversations. Your Real Social Life - Your activity stream provides quick access to current social activity so that you can stay on top of your important relationships. Touch now joins the popular iOS and Android community sharing app Path as a way to connect and share your life with only those closest to you. 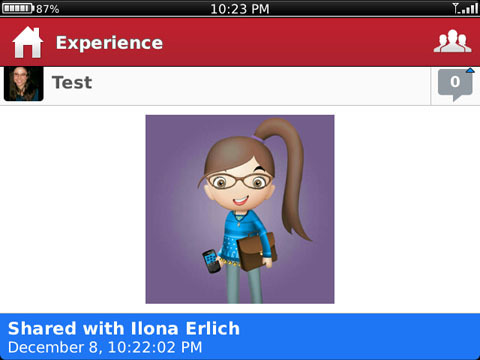 I for one think it's a pretty interesting concept, so why not head on over to BlackBerry App World and check it out.